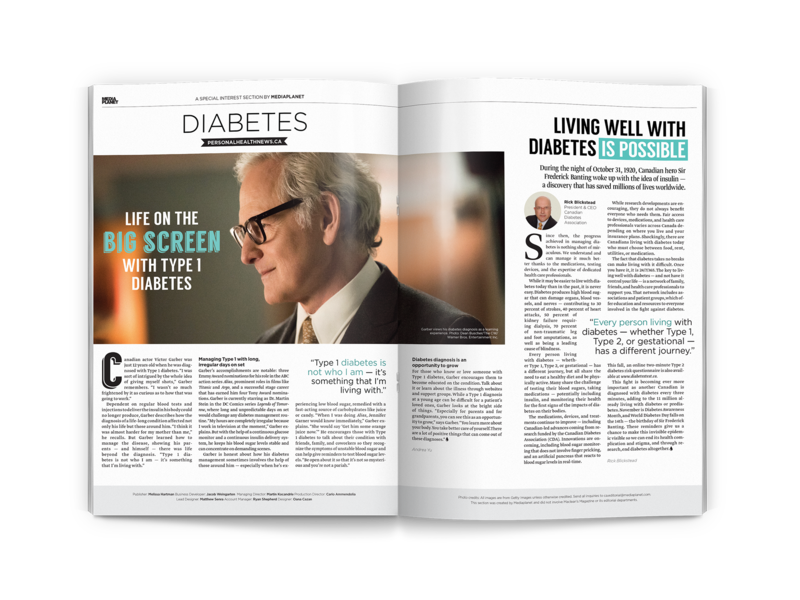 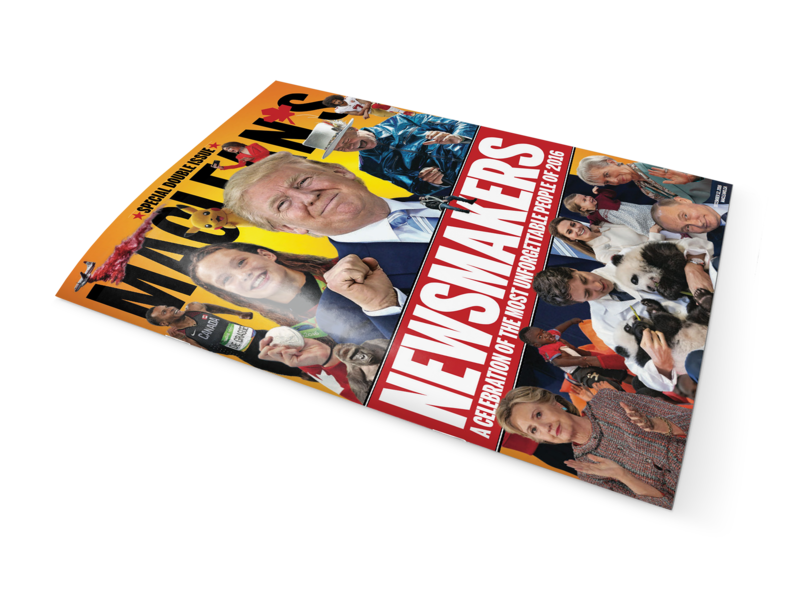 This Editorial focuses on discussing diabetes health and informing audiences about dealing with diabetes, including a feature article spread with well known actor Victor Garber. 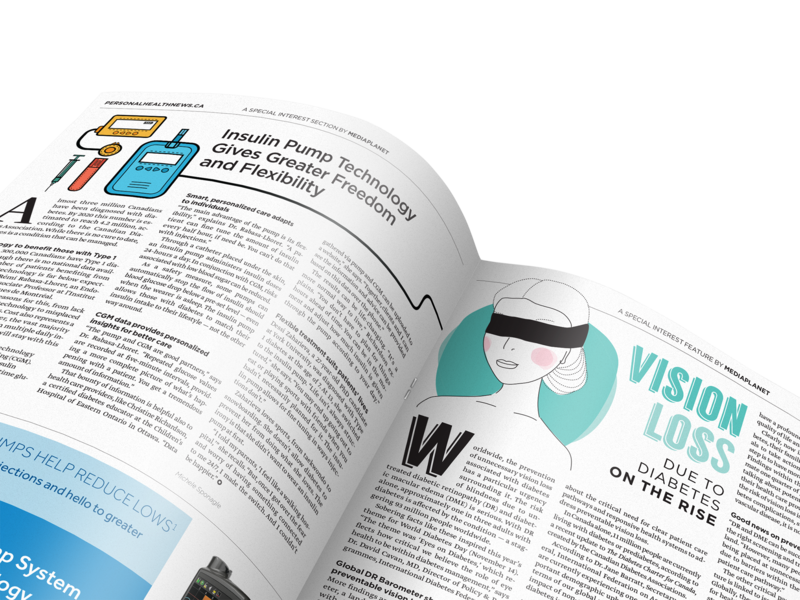 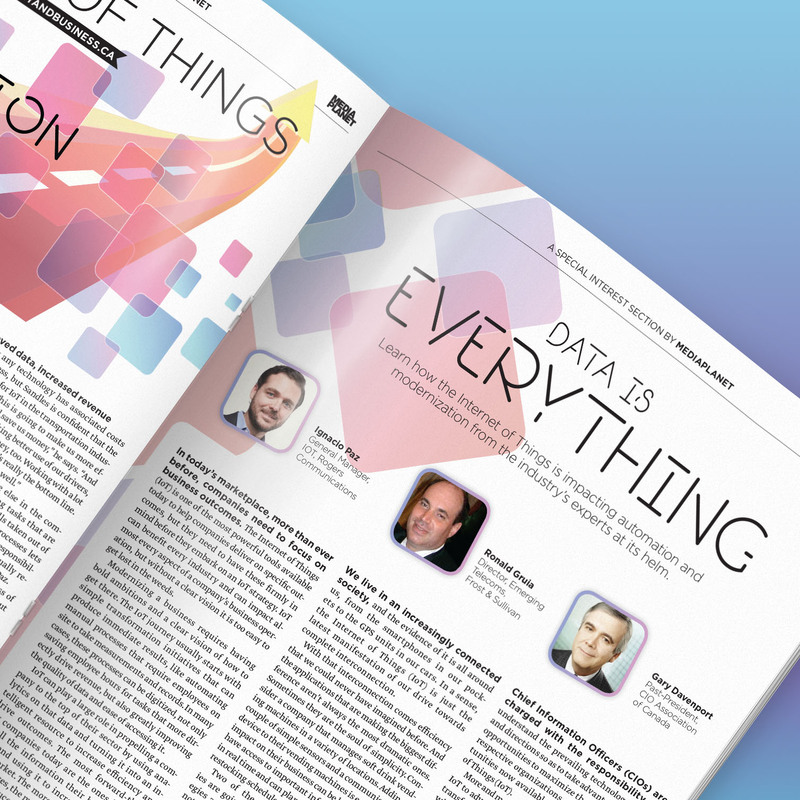 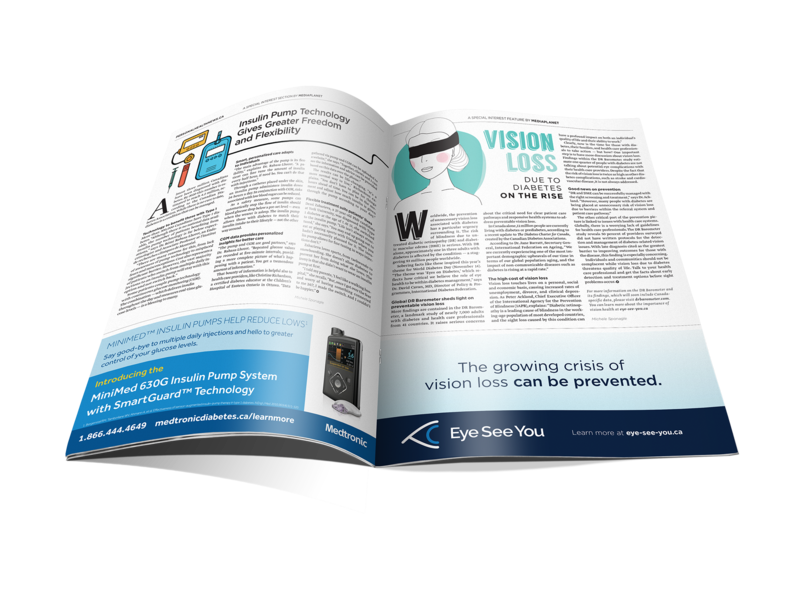 The role in this editorial was to provide typesetting and layout design, as well as using visual graphics to provide visual cues for readers to better express the written content. 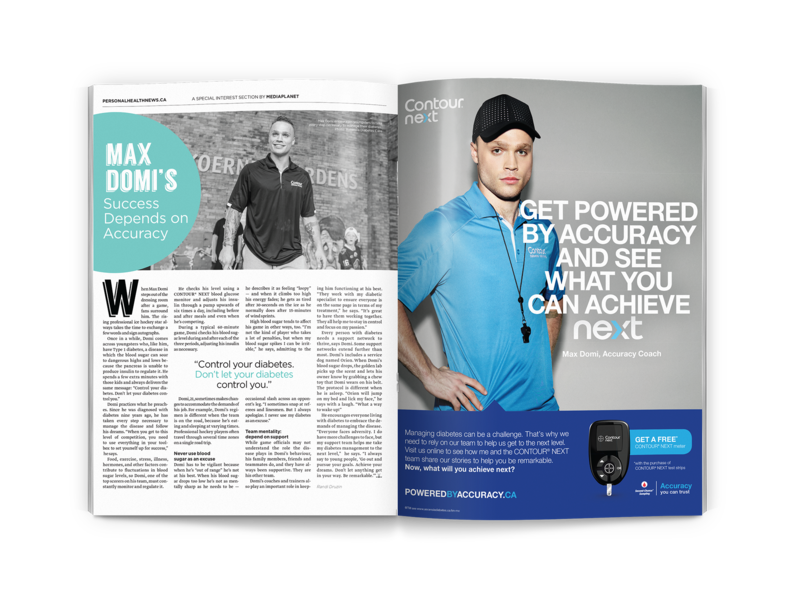 Roles in this editorial included design/development, imagery, typography, and overall page design.